(l.to r.) Rickey Gard Diamond, author of Screwnomics; Linda Gartz, author of Redlined, Elizabeth McCree, Benton Harbor, Michigan attorney, and Kim Jorgensen Gane, St. Joseph, Michigan realtor, discuss the real life results of economic policies with an audience at The Box Factory in St. Joseph, July 31, 2018. Ami Hendrickson (not pictured) co-hosted the event, and reported on it at MuseInks. On Tuesday, I had the honor of being the emcee for "Women & Economics: Impact of Economic Policy on Gender & Race" at the Box Factory for the Arts in St. Joseph, MI. This event, organized and produced by my dear friend and #Write2TheEnd co-founder, Kim Jorgensen Gane, featured authors Rickey Gard Diamond and Linda Gartz. Close to a hundred women (and the men who love them) attended the event, asking questions, and sharing stories. Yes, the personal is economic. Gartz is an Emmy award-winning video producer whose documentaries and TV productions have been featured on ABC, NBC, CBS, PBS, and syndicated nationwide. She kicked off the evening with her new book Redlined. Gartz' family lived in Chicago West Side at a time when racist lending rules allowed banks to refuse loans or mortgages to anyone in areas with even one black resident. 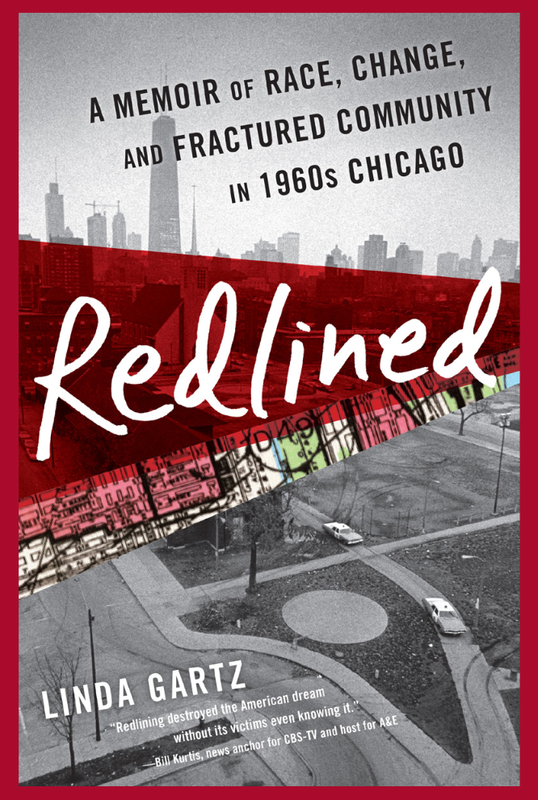 Set against the backdrop of the Civil Rights Movement of the 1960's, Redlined tells the story of Gartz’s parents, Fred and Lil, who choose to stay in their integrating neighborhood, overcoming prejudices even as their community sinks into increasing poverty and their own relationship decays. Diamond spoke next. She is a Berrien County native who lived in Benton Harbor, St. Joseph, and Coloma during her formative years. Now she hails from Vermont, where she was the founding editor of Vermont Woman and taught at Vermont College of Norwich University. In 2014, she received a Hedgebrook fellowship to create a readable, relatable book on economics. And thus, Screwnomics was born. "Around the world, women and their children remain the poorest of the poor, the most vulnerable, and the least noteworthy to most economists. 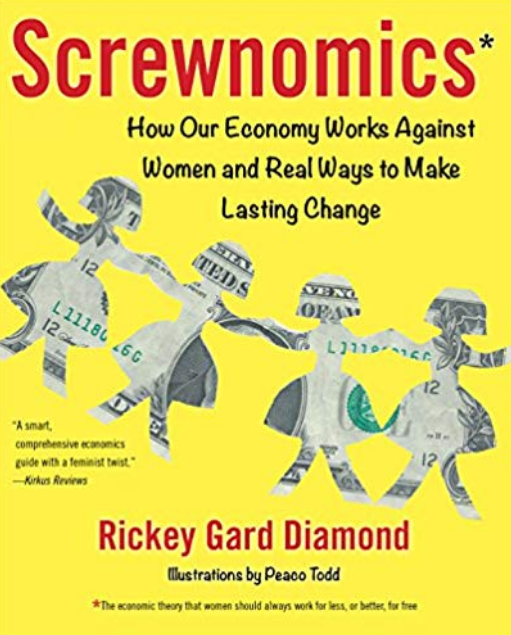 For example, Thomas Piketty's recent and much celebrated 700-plus-page work, Capital in the Twenty-First Century, which so expertly describes growing inequality has exactly seven index listings for women or females." Using humor, personal anecdotes, and history, Diamond's book is the most readable one on the subject of economics I have ever encountered. After the author presentations, local attorney Elizabeth McCree joined us for a panel discussion on the realities of gender, race, poverty, and ways to combat the inequalities we see. 1.) Educate yourself. Read. Familiarize yourself with the policies and practices that affect you. 2.) Recognize inequality when you see it. Even if you are not on the receiving end of the inequality, be prepared to identify it and -- most importantly -- to insist on equitable change. 3.) Vote. Seriously. Do this thing. Laws exist to serve the people and benefit society. Make your voice heard and make your vote count. 4.) Speak up. Many people told their personal stories on Tuesday evening. Our shared experiences pave the way toward greater empathy, in-depth dialogue, and a more informed community.